Housing finance and credit data released earlier this month by the Australian Bureau of Statistics (ABS) and Reserve Bank (RBA) confirmed investor interest in the housing market has started to drop off. 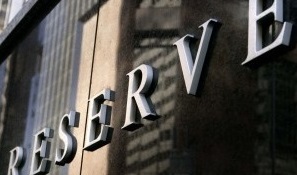 Affected largely by Australian mortgage lenders rationing credit to the investor segment, the lifting of mortgage rates is also starting to bite according to CoreLogic. It remains to be seen if this slowdown lasts or, if once the rationing of credit eases, the investor segment of the market returns to residential property. Since August 2015, mortgage lenders have been charging interest rate premiums for investors. While standard variable mortgage rates for owner occupiers were recorded at 5.45% in August 2015, the same mortgage type for investors had a mortgage rate of 5.75% or a 30 basis point premium. Since August 2015, the cash rate has fallen by 50 basis points however, mortgage rates have not shown the same decline. At the end of May 2017, standard variable mortgage rates were recorded at 5.3% for owner occupiers and 5.8% for investors. Despite two 25 basis point interest rate cuts since August 2015, owner occupier mortgages rates are now only 15 basis points lower while investor mortgage rates are 5 basis points higher and have a premium of 50 basis points compared to a typical owner occupier mortgage. The mortgage rate premium for investors appears to finally be biting into the market with weakness in both total investor credit and investor housing finance commitments. April 2017 lending aggregates data from the Reserve Bank (RBA) showed that investor credit rose by 0.55% over the month, its lowest monthly increase since August 2016. 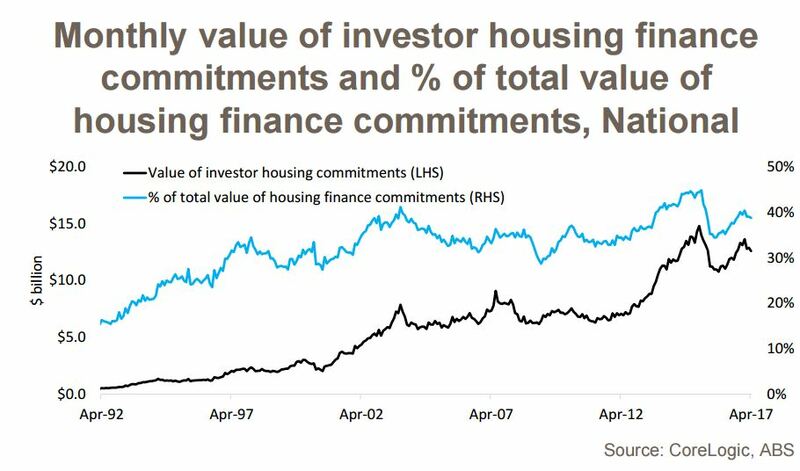 At the same time, April 2017 housing finance data shows there was $12.6 billion in investor housing finance commitments over the month, the lowest value since September 2016. Since August and September of last year, standard variable mortgage rates for investors rose by 30 basis points compared to a 5 basis point increase for owner occupiers. There are individual states and territories in where a slowdown in mortgage demand by investors will have more of an impact, namely New South Wales and Victoria. 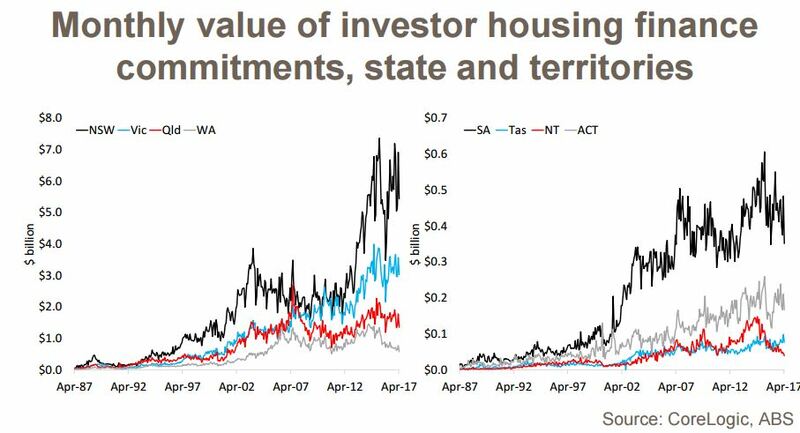 Tasmania is the only state or territory where the value of lending to housing investors is currently rising however, in terms of the value of lending to investors, New South Wales and Victoria account for a substantial majority of overall lending. 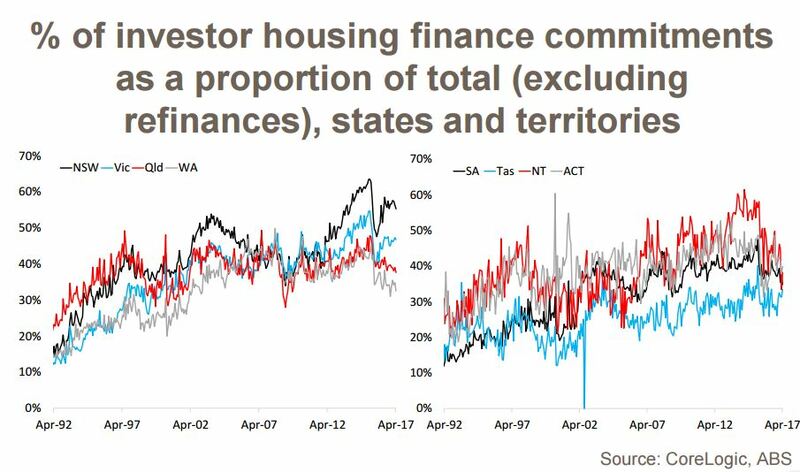 This is partly a function of higher housing costs in these two states, nevertheless, New South Wales accounted for 49.3% of all investor lending nationally in April 2017 with Victoria accounting for 27.4%. 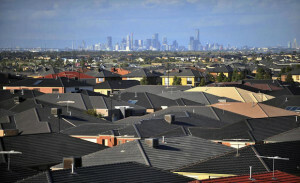 A pullback in lending to investors is inherently likely to have more of an impact on the New South Wales (Sydney) and Victorian (Melbourne) housing markets. Based on today’s CoreLogic research, the potential impact on the New South Wales and Victorian housing markets of investor slowdown is further highlighted by the fact that, excluding refinances (which are also trending lower), investors accounted for 55.3% of mortgage demand in New South Wales in April 2017 and 46.8% in Victoria. In all other states and territories, investors accounted for less than 40% of mortgage demand in April 2017, with the proportion trending lower over recent months in most regions. We anticipate that investor demand will continue to slow over the coming months. 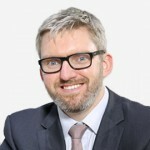 We’re seeing lenders re-price mortgage rates for investors and, we are yet to see the full impact of the policy changes designed to slow the level of interest-only lending. With investor demand likely to fade further, this will also contribute to a further slowing of the rate of value growth in the Sydney and Melbourne housing markets where investor demand has been significantly greater than it has been elsewhere. 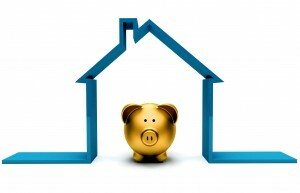 A reduction in the pace of capital gains will add further disincentive to investors. Considering that rental yields in Sydney and Melbourne are close to record lows, we can assume most investors are focused on the prospects for capital growth and relying on a negative gearing strategy to offset the cash flow losses.